Earl Fowlkes serves as the President/CEO of the Center For Black Equity, Inc. (formerly the International Federation of Black Pride -IFBP). He founded the IFBP in 1999 ago as a coalition of organizers in the United States, Canada, United Kingdom and South Africa formed to promote a multinational network of Black LGBT Pride and community-based organizations. There are over fifty plus Black Pride events with over 350,000 attendees each year. 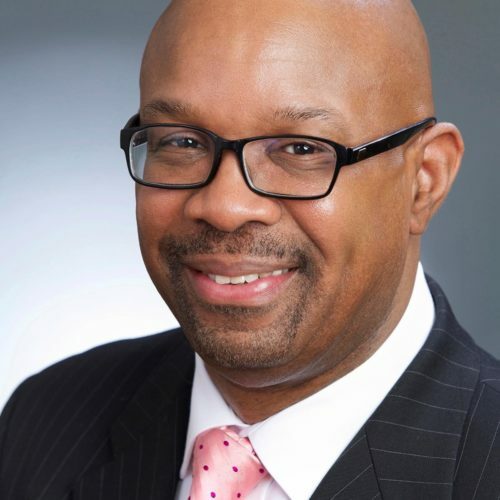 Prior to working at the Center For Black Equity, Earl previously served fifteen years as the Executive Director of the DC Comprehensive AIDS Resources and Education Consortium (DC CARE Consortium) and Damien Ministries, organizations that provided services to Person Living With HIV/AIDS in Washington, DC. Licensed as a Social Worker (New Jersey), Earl has worked on health, political and LGBTQ issues in many communities for nearly thirty years. Earl currently serves on several non-profit boards of directors including the International Gay & Lesbian Travel Association and Damien Ministries. In addition, he was recently reappointed to his second term as Chair of the Washington, DC Commission on Human Rights. He previously served as the Chair of DC Mayor’s GLBT Advisory Committee, Community Co-Chair of the DC HIV Prevention Community Planning Group and a member of the DC Commission on the Martin Luther King, Jr. Holiday. Earl has always been politically active focusing on voter registration and getting out the vote activities particularly among communities of color and LGBT Democrats. In 2009, he was appointed by then Virginia Governor Tim Kaine as an At-Large member of the Democratic National Committee (DNC).In August 2013, Earl was reappointed, and elected Chair of the DNC LGBT Caucus. In October 2017, Earl was reappointed to his third term as a DNC At-Large member and was reelected Chair of the DNC LGBT Caucus. Earl has served as President of the Gertrude Stein Democratic Club (GSDC) in DC since 2014. GSDC is the second oldest LGBT Democratic Club in the United States. All Sessions by Earl D. Fowlkes, Jr.